A Balanced Blend that brings lots of body and sweet brightness - 16 Single Server Cups! Great taste! 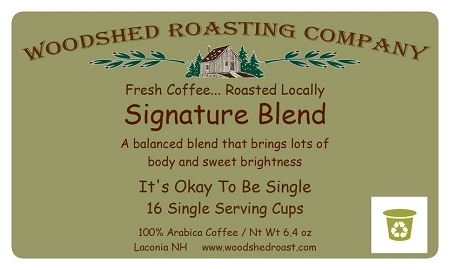 Very pleased with this blend as well as all the blends that the Woodshed Roasting Company makes. Haven't been disappointed with any of the coffee blends that we have purchased!!! SO MUCH BETTER than the coffees you get through Green Mountain or other brands!!! We've switched over to Woodshed and you should too!